The Parrot Tree is a space offering rest and peace at the fringes of one the world's largest and busiest city's: Shanghai. It is a space which breaks down existing walls of behavioral architecture and catalyzes change, impact and transformation. The Parrot Tree is the result of experimenting with indirect intervention in an organizational context: giving the space and the time to let questions be answered, conflicts be settled and direction be found without directly aiming at any results. The Parrot Tree is also an answer to the conflict which many urban families face: being in need of more nature, but being unable to abandon the city. It is a way of connecting with the planet, people and ourselves. We have chosen Parrot Tree as name sake for our house, because our daughter had the idea and it immediately aligned with the concept we had in mind. Although parrots build individual homes, they spend much time in larger flocks in specific trees. These trees are to parrots what the third place is to humans: a space different from home and work; a space where we spend down-time and build genuine communities. The original concept of the third place has been undermined in recent years through Wework, Starbucks and Wanda malls. 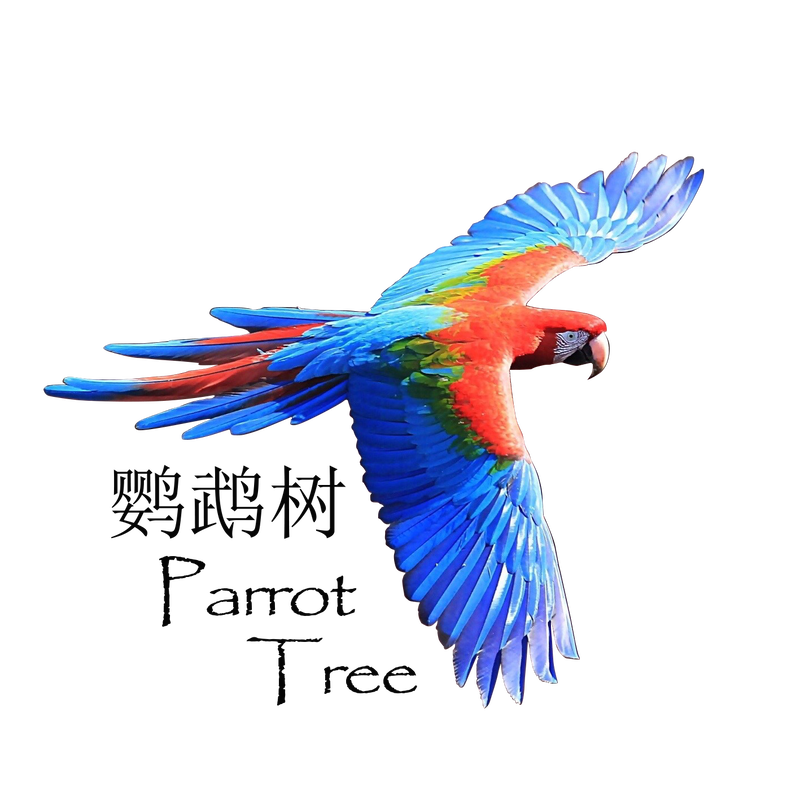 The green-winged Macaw parrot is our mascot, because this highly intelligent bird shines in the three colors which represent the three pillars on which our philosophy rests.